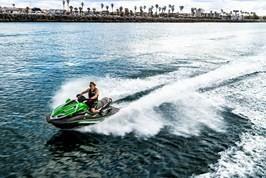 The 2015 Jet Ski Ultra® 310LX is the most powerful personal watercraft in the world. Period. It’s also one of the most advanced, with a Deep-V hull design that can cut through choppy waters at higher speeds anda first-of-its-kind JetSound™ audio system.